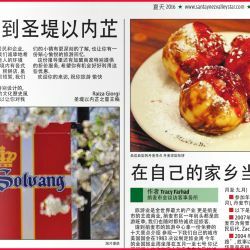 Welcome to Solvang, a special place for small meetings, weddings or family reunions, wine tasting, boutique shopping and sampling authentic Danish bakeries and International cuisine. 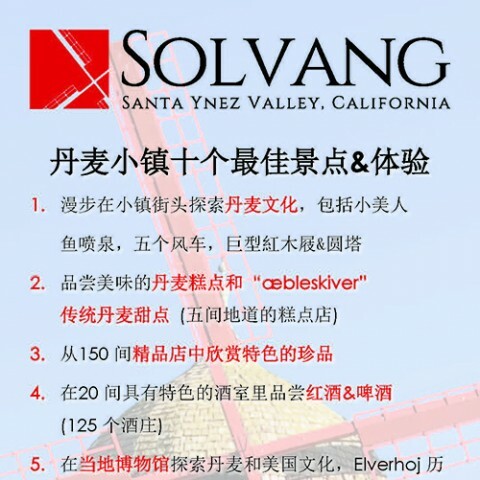 Solvang - A place for relaxing peaceful vacations, where you will find hotel deals for leisure travel in the historic town of Solvang's Danish Village. Enjoy more than 20 wine tasting rooms in Solvang, and the 100+ vineyards and wineries of Santa Ynez Valley. An Insider's Guide to the Best Things to Do in Solvang. Boutique Shopping, Outdoor Adventure, Wine Tasting, Vineyards, Craft Beer Tasting, and unique Museums. From Santa Barbara County wine country wine tasting and tours to horse-drawn trolley rides, from boutique shopping to surrey bike rides and country road cycling to riding a segway to walks through the Historic Danish Village of Solvang, there are attractions and things to do with family, kids, and friends. You will enjoy fun times outdoors and the peaceful, beautiful, relaxing times here with many things to do indoors. Tour wineries and sample real authentic danish pastries in Solvang and enjoy the fresh foods of the Santa Ynez Valley on the central coast of California.